Let's face it, after 22 seasons, the real stars of Dancing with the Stars are not the ex-football players, '80s sitcom actors, and reality show contestants that make up the "celebrity" part of the couples. The real stars of the show are the professional dancers who teach these celebrities to dance, and whom we loyal DWTS fans have come to love. 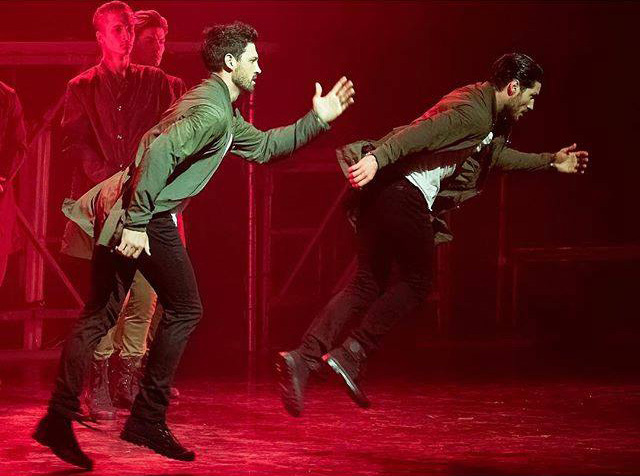 There have arguably been no bigger stars (and personalities) on the show than Maksim Chmerkovskiy, and in recent years, his brother Valentin. Maks and Val may seem like the arrogant bad boys of ballroom, but their new tour "Maks and Val - Our Way" proves otherwise. If you look a little deeper, you'll see that the bad boy persona is just that. In the show (which I was lucky enough to see at Minneapolis' State Theater last night), Maks and Val promised that we would see a side of them that we've never seen before. And they were right. In a night of fabulous, exciting, and entertaining dance numbers structured around their life story, Maks and Val are surprisingly humble and gracious, with a great awareness of and appreciation for all that their parents and others have done to get them where they are, as well as their own hard work. 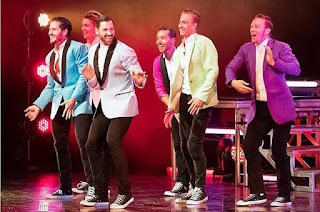 The Maks and Val of show are the charming and amazing dancers you know from DWTS, but with a deeper insight into who they are, how they got here, and why they do what they do. In the words of Val: "The essence of this show will be the story of two brothers and the passion we have for life, family, opportunity and, of course, dance. it will be the most honest we've ever been to an audience. We want to entertain with incredible choreography and inspire while sharing our story, our way." Mission accomplished, sir. The brothers take turns narrating and introducing dance pieces, which offer a chronology of their lives and careers. Through video interviews with their father (from whom the boys get their good looks), we learn the facts of their lives. Born in the Ukraine, their parents signed Maks up for dance classes on a whim at 4 years old, and younger brother Val soon followed. When the boys were 14 and 8, their parents decided to move to the US, specifically NYC, for the same reason that all of our ancestors decided to move to the US - to give their children a better life. Dance numbers depict life in Ukraine (including Val as Tevye in "If I Were a Rich Man), immigration, and transition to living in NYC. Maks started teaching ballroom dance in New Jersey at the age of 16, and at the age of 15 Val was the first American to win a World Junior Championship dance title (no overnight successes, these guys). Both of these events are amusingly depicted through dance, as well as Maks' belated prom (because he was too busy working and dancing to go to his HS prom). Each brother gives a short interview about love, and then expresses it even more articulately through dance. Joined on stage by 10 fantastic dancers (Val made a point to say they're not back-up dancers, they're peers), the dance numbers are incredibly fun, entertaining, and moving. The multi-level set, beautiful and colorful costumes, and lighting effects all combine to make this an incredibly polished and professional show. But at the same time, Maks and Val are refreshingly natural and off-the-cuff when interacting with the audience and each other. I was a big fan of them before the show, but am now an even bigger fan after spending a few hours with them getting a glimpse behind their TV personas. 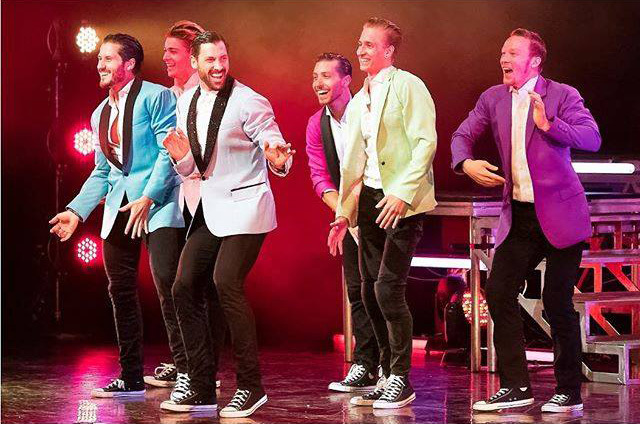 The Maks and Val tour is 35 cities into a 50-city tour; they continue to make their way through the Midwest, South, and West through August. And with any luck we will see one or both of them on Season 23 of Dancing with the Stars this fall.